The shifting status of marijuana from an illegal controlled substance to regulated medicinal product to, in some jurisdictions, legalized recreational activity has created a market that promises to be incredibly valuable in the years to come. An April 2018 report from Grand View Research predicted the global market for legal marijuana products to exceed $146 billion by the year 2025. A 2018 cannabis report by Deloitteforecast Canada’s cannabis market to reach $7.17 billion in total sales during 2019, including $4.34 billion in sales of legal marijuana products. In the U.S., 2017 sales of legal recreational and medicinal marijuana products resulted in revenues of up to $6.6 billion, a fraction of the estimated $50 billion to $55 billion of total U.S. demand for recreational cannabis products. Although Canada fully legalized both the recreational and medicinal use of marijuana last October, marijuana legalization is occurring more slowly and piecemeal in the United States. In the U.S., marijuana is still a Schedule I drug under the Controlled Substances Act, although medicinal use is legal in 33 states plus the District of Columbia and recreational use has been legalized in 10 states and Washington, D.C. However, even these slow moves in the direction of full legalization have galvanized inventors filing patent applications on cannabis-related inventions with the U.S. Patent and Trademark Office (USPTO). Last year, Reuters reportedthat the USPTO issued 39 patents containing the word cannabis during 2018 through late November. The USPTO only issued 29 such patents during 2017 and 14 during 2016. Increased research and development expenditures among major cannabis producers are another indication that marijuana’s gradual legalization is spurring cannabis innovations. Canadian cannabis firm Canopy Growth indicated in its second quarter earnings report for 2019’s fiscal year that the corporation spent $1.94 million CDN on research and development for the quarter, a major increase from the firm’s $494,000 in R&D expenditures during Q2 2018. Similarly, Edmonton-based Aurora Cannabis reported that it spent $3.43 million CDN on R&D during the first quarter of 2019, up from $107,000 CDN during Q1 2018. Aurora also identified $2.35 million CDN in patent-related acquisitions since the end of July 2017. Legal professionals in this realm are optimistic about the prospects for cannabis inventions, especially given the early stages of development in many cannabis sectors. Howard Cohn, chief patent attorney and managing partner at THC Legal Group, which is a cannabis-focused specialty division of Howard M. Cohn & Associates, said that, as the market for cannabis grows, he expects the push to obtain market share through patent holdings will only increase. “My gut feeling is that inventors will spend more time developing proprietary ways to integrate cannabis extracts into existing products and far less time attempting to obtain patents on unique strains of genetically engineered cannabis.” Cohn added that the food and beverage industry “is a natural partner for the cannabis space and will likely experience an explosion of innovation vis-à-vis cannabis oils. Cannabis enthusiasts should expect to see great advances in cannabis infusions and a variety of clever engineering moves designed to maximize the potency of the end-product with the least amount of raw cannabis material,” he said. U.S. Patent No. 10172786, issued on January 8 of this year and assigned to AXIM Biotechnologies, claims a cannabinoid toothpaste composition comprising an abrasive agent, a binder, a humectant, a fluoridating agent, a surfactant, water, a thickener, cannabidiol (CBD) present in an amount from 0.1 percent to 0.5 percent by weight, and lactoferrin present in an amount from 0.1 percent to 0.5 percent by weight. The oral care composition covered by this patent, which can also come in a mouthwash solution, makes use of CBD to promote the antibacterial properties of the composition. U.S. Patent No. 9956174, issued in May 2018 to inventor Jeff Nordahl, claims a package comprising a plurality of frozen structures of cannabis juice purée where the structures include amounts of CBD, tetrahydrocannabinol (THC), cannabidiolic acid (CBDa) and tetrahydrocannabinolic acid (THCa) and where the purée is formed by blending leaves of a cannabis plant and the shredded leaves remain in the frozen structures of the purée. The invention, intended as a dietary supplement, provides a means for manufacturing and packaging cannabinoid products which delivers the medicinal properties of THCa and CBDa without those substances being decarboxylated through heating processes into THC and CBD. U.S. Patent No. 9888703, issued in February 2018 and assigned to Imbue LLC, claims a coffee pod consisting essentially of carbon dioxide extracted THC oil cannabis, coffee beans and maltodextrin. The invention covers methods of creating a consumable coffee drink that consistently contains about 5 milligrams (mg) to about 50 mg of THC, the primary psychoactive component of the cannabis plant. U.S. Patent No. 9480647, issued in November 2016 and assigned jointly to CannTrust Inc. and Club Coffee L.P., claims the method of preparing a single-serve container configured for receipt in a single-serve brewing machine, the method involving processing cannabis by pulverizing it to a particle size of less than one millimeter (mm) and by heating it at a sufficient temperature and time period to decarboxylate cannabis, adding the processed cannabis to the single-serve container, adding an effective amount of a lipid-rich food-based extraction agent and sealing the container. This invention, which could be used with Keurig or Tassimo machines, is intended to provide the medicinal benefits of marijuana to patients who may be reluctant to smoke marijuana. U.S. Patent No. 10172897, issued on January 8, 2019, and assigned to NC3 Systems, claims a method of preparing an enhanced smokable therapeutic cannabis product by separating hash resin from plant material of a cannabis plant, pressing the hash resin to expel oil and create spent hash resin, extracting further cannabinoids from the spent hash resin using medium chain triglyceride oil, enriching the extracted oil with purified ?-myrcene and spraying the enriched oil onto dried smokable cannabis plant matter. The invention provides more of the therapeutic effects of marijuana by addressing shortcomings in varying chemical content across different strains. U.S. Patent Application No. 20190000029, filed in July 2017 and assigned to Insectergy, LLC, claims an alimentary multifunctional composition including cannabis and insects with a CBD content ranging from 0.00005 weight percent to 15 weight percent and a THC content ranging from 5 weight percent to 63 weight percent. The composition has an insect mass ratio ranging from 25 pounds to 1,500 pounds of insects per ton of composition. The invention addresses a need for a superior blend of cannabis providing improved medicinal benefits and has a high yield to meet demand at a low price. Brubaker said that it appeared this particular patent application was experiencing a difficult time at the USPTO given the fact that claims 1 through 151 have been cancelled. “It’s very rare for a patent application to start with 152 claims,” he said. A seventh supplemental preliminary claim amendment document posted to the Public Patent Application Information Retrieval (PAIR) image file wrapper for this patent application shows that the patent applicants have cancelled claims 1 through 247 and have proposed new amended claims 248 through 279. Brubaker noted that it was very unusual to include the brand name of the particular marijuana strain in the title of the patent application. The entire cannabis industry has been spreading like wildfire lately, but a particular niche seems primed to becoming the next big thing: hemp. Following the passage of the U.S. Farm Bill, hemp and all hemp-based products are now legal (not including CBD edibles, currently under attack, as we just saw in New York), which makes for a thriving industry. There are 2 primary differences between hemp and cannabis. Number one, hemp won’t get you high but it has many of the same benefits as cannabis since it often has other cannabinoids and especially high levels of CBD. Number two, hemp has a history of industrial uses such as producing paper, plastic, food, clothing, insulation, and numerous other products. So what can we expect in terms of growth when it comes to the hemp? Well, we’re looking at an industry expected to double in market size within two years. 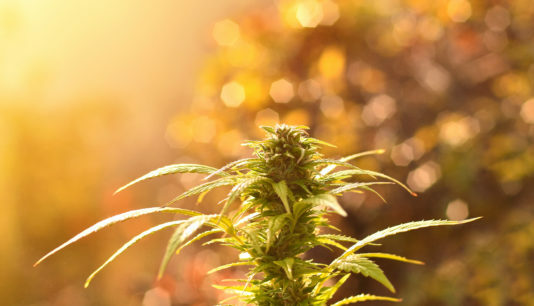 According to a recent report from New Frontier Data titled The Global State of Hemp, worldwide hemp sales equaled $3.7 billion in 2018 and are estimated to be almost double at $5.7 billion by 2020. As of now, China is leading the profits game with nearly $1.2 billion in hemp sales. The United States came in second with an even $1 billion, followed by all of Europe at $980 million, and Central and South America rounded out the end of the list with a combined total of $220 million. As the market grows, it’s expected that the United State may move in to the top slot, depending on how any upcoming regulatory changes are handled. New Frontier Data predicts that U.S. hemp sales will increase to $2.6 billion by 2020. About half of this revenue will come from the sale of hemp-derived CBD products. If you’ve been looking to invest in the industry, now would be the perfect time, as long as you have done your homework… Check back for more updates on this developing market and make sure to subscribe to our Weekly Newsletter for all the latest news and information about the cannabis and hemp industries. Canada often serves as America’s colder, nicer, saner foil, and its handling of marijuana policy exemplifies its more pragmatic side. While federal, state and even local governments in the United States hurtle in different directions on cannabis, our northern neighbor dispensed with much of the confusion by legalizing the drug at the national level last year. Two Bay Area business deals this week presaged the literal dividends of that decision. Canadian cannabis concerns acquired the Oakland mega-dispensary Harborside as well as three San Francisco dispensaries owned by Apothecarium. The former transaction, valued at $153 million, is a reverse takeover in which a smaller Toronto company is acquiring its larger Oakland counterpart, which also has a San Jose dispensary and will retain most of the ownership of the resulting firm. Another Toronto company is buying Apothecarium for $118 million in cash and stock. Both of the purchasers are publicly traded on the Canadian Securities Exchange, which listed about 50 American cannabis companies last year. That will give the firms valuable access to capital markets and dramatically increase their ability to grow in more than the cultivating sense. That is in sharp contrast to the companies’ situation in the United States, where then-Attorney General Jeff Sessions was still mulling a war-on-drugs-style crackdown on marijuana even as Canada was moving to legalize it. Federal authorities were moving to shut down Harborside until 2016. Cannabis remains illegal for medical or recreational purposes at the federal level and in 17 states. The nation’s law enforcement agencies are still making more than 600,000 arrests a year on marijuana charges, most of them for possession, a figure that has been rising in recent years despite increasing legalization. Such arrests disproportionately affect minorities. The costs and harm of continuing criminalization are in addition to the economic benefits forgone in states that have changed course. Cannabis’ legal limbo cuts it off from regular banking and financial services, let alone the stock market. Former California Treasurer John Chiang at one point advocated a fleet of armored cars to help the state collect marijuana taxes paid with huge quantities of cash. His successor, Fiona Ma, proposed special state-chartered banks to provide services to marijuana businesses; this week, she was among those urging the new Congress, in its first hearing on marijuana, to take steps to give the industry access to conventional financial services. Both California and Canada have yet to sort out the many complications of ending marijuana prohibition, from ensuring that it doesn’t encourage more use among minors to making the legitimate industry more attractive than the black market. The difference is in the minimally coherent national policy that remains sorely lacking in the United States. In contrast to his former attorney general, President Trump has occasionally gestured toward a more forward-looking marijuana policy. Given his fixation on trade with our northern neighbor, perhaps Canada’s emerging advantage in the industry will push the administration in the right direction. The first bulk batch of medical cannabis imported into the U.K. since it was legalized for prescription last year has arrived from the Netherlands. The shipment, exported by the Office of Medical Cannabis, will be sent directly to pharmacies to provide to patients under prescription for treating conditions including chronic pain and multiple sclerosis, according to a statement from British startup Grow Biotech. The company said it worked with investor European Cannabis Holdings and pharmaceutical importer IPS Specials to facilitate the delivery. The U.K.’s Home Office gave specialist doctors the option to prescribe medical marijuana in November. They will be able to offer the drug on a case-by-case basis when other licensed products cannot meet the patients’ needs. That followed a shift in public attitudes toward cannabis-based medicines after two British children with epilepsy were prevented from bringing medication back into the country, sparking an outcry. The regulatory outlook is also shifting in Europe. The European Parliament voted in favor of a non-binding resolution on Wednesday which will seek to encourage European Union countries to increase access to medical marijuana. The World Health Organization has taken a similar stance, calling on Feb. 1 for marijuana and cannabis resin to be removed from Schedule IV of the 1961 Single Convention on Narcotic Drugs, the most restrictive categorization. Bloomberg Intelligence analyst Gopal Srinivasan said the move by WHO would provide countries with “additional political cover” to reconsider their stances on cannabis. Europe’s publicly traded cannabis industry remains very small but the industry is proving more lucrative than initially expected. Grow Biotech said in a fundraising announcement in July last year it intends to join the tiny group of marijuana providers on the stock market in the fourth quarter of 2019. The number of listings in Europe pales in comparison to the boom in Canadian pot stocks born out of the legalization of recreational marijuana. Those names are also looking to a newly liberalized U.K. for expansion, including Canopy Growth Corp., which has partnered with a British cannabis therapies researcher with the aim of introducing products in early 2019. Aurora Cannabis Inc., another of the Canadian pot giants, made its first commercial export of cannabis oil to the U.K. earlier this month. That ingredient is used in wellness products like cannabidiol, or CBD oils which are now sold widely in U.K. pharmacies. With Canada now raking in up to $100 million per year in pot taxes, some of that revenue will soon be heading right back to pot users in the form of cannabis-specific tax receipts. The only catch? Pot-smokers have to have permission from a physician indicating that they’re toking for medical reasons. Cannabis is one of the myriad of categories that the Canada Revenue Agency has authorized as a permitted medical expense. The tax agency, which prefers the somewhat outdated spelling of “medical marihuana,” considers pot as no different than braille printers, glass eyes or oxygen tents. However, tax-filers will be required to show evidence of a prescription. Even if a Canadian swears by cannabis for treating their sleep apnea, the CRA isn’t going to care unless they can provide a doctor’s note. Medical cannabis users also need to buy their product from a licensed producer. As a general rule, the CRA doesn’t let you write off anything purchased on the black market. CRA rules also exclude the reams of dispensaries who, prior to legalization, handed out dubious prescriptions from naturopaths. It’s similar to the way the CRA decides whether to write off a gluten-free diet. If a taxpayer can provide a doctor’s note provide proving they have celiac disease, they are allowed to claim the “incremental cost” of gluten-free bread versus regular bread. If the taxpayer is merely going gluten-free to be trendy, however, they pay full price. Over-the-counter drugs are similarly denied tax relief, even if they are indeed legitimate medical expenses. A Canadian may require cold relief drugs or skin creams to function, but they can’t claim it against their taxes unless someone with a med school diploma has given them the go-ahead. Medical marijuana has been eligible as a tax deduction for roughly 10 years, although the CRA confirmed as much in 2015 with a letter to the Canadian Medical Cannabis Industry Association. Prior to legalization, however, it was arguably much easier for auditors to check if a cannabis write-off was above board, since no cannabis could be purchased legitimately in Canada without medical authorization. The tax situation is much more complicated in the United States. Even in states that have legalized medical marijuana, it is not eligible as a medical write-off because the United States federal government, and thus the Internal Revenue Service, still considers cannabis illegal. Of course, that’s proven no barrier to the IRS collecting billions in taxes from U.S. cannabis dispensaries.